Each month one of our designers discusses their favorite pieces from the showroom and beyond. This month, Erez Russo’s favorites explore geometry and color. Designer Tricia French explains how art has an unmatched ability to infuse a home with personality, personal style and culture, and is one of the most personal exchanges you’ll have with an object. Each month one of our designers discusses their favorite pieces from the showroom and beyond. This month, Oliver Decastro’s favorites help organize and keep you life clutter free. Who says storage can’t be elegant? This contemporary new construction home in Cedar Mills was looking for a complete transformation with upgrading their furniture. The focus was to bring in pieces that were warm and inviting, starting with the great room. Sectional 2848 covered in a taupe fabric with deep navy undertones complimented their earth toned floors. The adjustable headrests on the sectional are perfect for support and relaxation. The sinuous forms of the dining chair and barstool collections bring movement through the dining room. The chairs have a high curved back, providing lumbar and back support. New homes are a work in progress and will continue to have layers added on to complete the needs of their everyday lives. We will move on to other areas in the future. Each month one of our designers discusses their favorite pieces from the showroom and beyond. 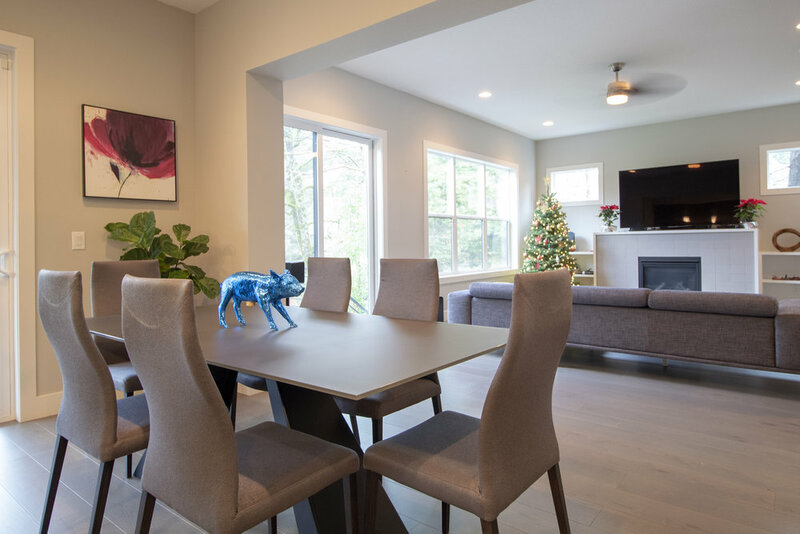 You probably didn’t expect to get self-care tips from a modern furniture store, but this month Renee’s favorites are all about taking a moment for yourself during this busy holiday season! Join our email list to be the first to know about sales, promos, and news. <h2>Stay in Touch</h2> Join our email list to be the first to know about sales, promos, and news. We won’t sell/share your email (we hate spam too) and you can unsubscribe with one click at any time. Come take this new swivel chair for a spin! Comfortable and modern, and available in many fabrics. New! We're thrilled to have Bay Area maker @alicetacheny's accessories in the showroom. Check out our story to see more!